My name is Florina and I was 16 years old when I started my exchange program in the USA in Kingsport, TN. My exchange year - from August 2017 to June 2018- started with getting my host family. I got placed in a really great family with four kids (three boys and one girl) and was lucky to have an exchange student sister, Nanda, from Brazil. Nanda and I became very close friends but mostly we became sisters. I couldn’t imagine my exchange year without her. I flew to New York at the beginning of my stay to spend 5 days at the orientation camp with other exchange students from all over Europe. I couldn’t believe my exchange year had started and I was super excited but also a little bit nervous to meet my host family. The day after I arrived, school started and I also got to ride the school bus which I was super excited about. At least in the beginning. The first semester I had Algebra 2, English 11 (for juniors), Yearbook, PE (physical education) and Marching Band. 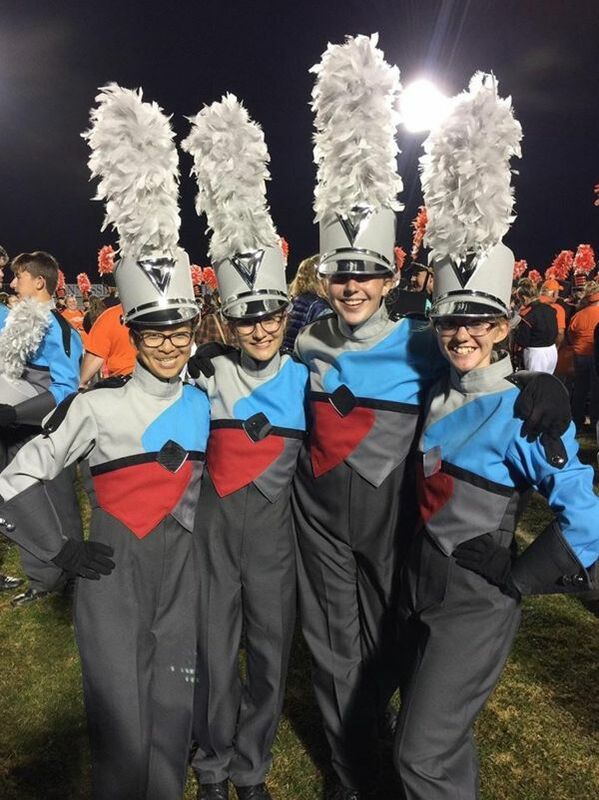 As part of the Marching Band I got to play flute at all the football games and several competitions. It was really hard at the beginning because I had never done anything similar to that. But it was an amazing experience and I made so many friends during these activities. The band was around 150 students big and like my large family at school. During my school holidays I was lucky and got to go to Orlando, Florida. My family told me to buy a Disney world and Universal studio annual pass. I got to go 4 times during the year and it was so much fun. I found many friends. The people were really nice and open and were super excited about meeting someone from a foreign country. I thought it was super easy to find friends as long as you just try to talk to people even if your English is not perfect. My language knowledge was horrible at the beginning of the year but at the end, it was harder for me to speak German than English. In February, I went to Hawaii with MPD tours, an organization specialized on trips for exchange students. It was an amazing experience with a wonderful group of people from all over the world. My school year ended at the end of May and having to say goodbye from everyone was so sad. I cried a lot because I had to go home to Switzerland. But I knew Tennessee would always be my second home and I could always go back and visit my family and friends. I once read a quote about the exchange year: “An exchange year isn’t a year in a life but a life in a year.” And I couldn’t agree to that more!